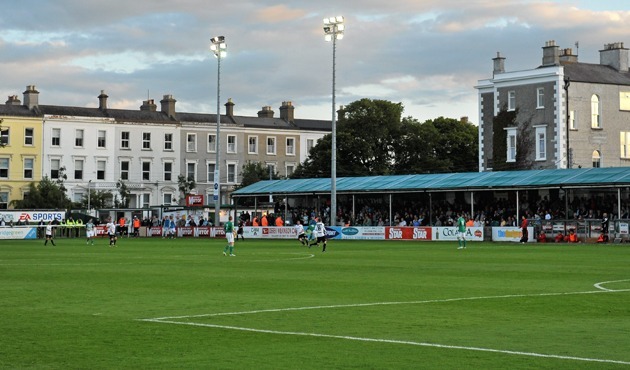 Bray Wanderers chairman Niall O’Driscoll has called for a separation between business and football within the Football Association of Ireland. The FAI has come under fire in recent weeks after it was revealed that its former CEO, John Delaney, had supplied the association with a €100,000 bridging loan to aid cash-flow issues in 2017. Delaney has since resigned from his chief executive role to take on the new position of executive vice-president, although questions still remain ahead of his appearance in front of the Oireachtas Committee on Transport, Tourism, and Sport next Wednesday. Speaking to WicklowNews, Bray Wanderers owner and chairman Niall O’Driscoll — whose company O’Driscoll O’Neil is the official insurance partner of the FAI — said that the whole episode had presented an opportunity for the organisation to disassociate its sport and the business wings. “The problem with sport is that, going back 20 years, [local clubs] were run by volunteers who did not have the skillset to do what they were being asked to do,” he said. “What you are seeing now is business people coming in to do the business side, and football people being brought in to run the football side. Rugby is a great example of that. The FAI debacle continued on Wednesday, when Sport Ireland chief executive John Treacy refused to declare confidence in the board of the nation’s football governing body in front of the Oireachtas Committee on Sport. O’Driscoll, however, believes that the government should bear some of the brunt of responsibility when it comes to the state of football in Ireland, as well as its promotion. “Has Mr. Delaney done some good while he was there? There is no doubt, he has. Has he made mistakes? There is no doubt, he has. At the end of the day, the board is where the responsibility lies,” he told WicklowNews.